“ I have been compelled to undertake writing my first memoir at age 54. That was about four months ago. Do you feel it is VITAL to have support or support systems in place to help you? If so, do you have any ideas for how to find support? I am very low on funds and would love to just find some free friends or fellow memoir writers to buddy up with. Thank you for your question which, I’m sure, is one that many writers struggle with. It is not easy to sit in a room and write alone, with no encouragement or feedback. Although it’s not essential to have writing support, you mentioned that the idea of doing it alone seems daunting. Consequently, I think you would find a writing companion – whether a group, a fellow writer, or a friend – highly beneficial. The challenge is finding the right person or group to support and encourage you. This may take some trial and error; don’t hesitate to “date” some writing buddies until you find the right one. Critiquing is a fine art, and his or her comments should, ideally, inspire you to continue writing, as well as suggest new directions, and ways to address problems. —Consider a writing class. I have several friends who found writing companions or groups by taking a writing class. Often the teacher leads a writing group outside of class. You could take a memoir or personal essay class at a local community college; even high schools sometimes offer continuing education classes on writing. —Investigate local writing conferences. A writing conference is another good source for meeting fellow writers. Though most conferences are not free, some are quite modest in price, while others even offer scholarships. You can also check for state groups. California and Oregon, for example, have a number of writing groups. —Look into online classes and groups. Of course there are hundreds of on-line conferences and teleclasses. Just now I Googled, “find a memoir writing group,” and came across thememoirwritingclub.com. There is also Meetup.com, an on-line resource for meeting local people interested in various pursuits and activities. You can go to the site and type in “writing group” in the search window, or start your own Meetup group. Your local librarian is another resource. 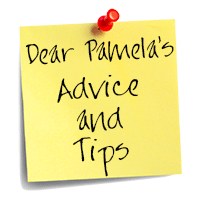 And, if you read last month’s advice column, you know that some churches have writing groups. Michelle Seeking Support System–Be persistent and be picky about who you team up with, and I’m sure you will find a sensitive and supportive companion to accompany you on your memoir journey. If the first person or group isn’t a good match, don’t worry. Just keep looking. And please let us know when you do find support! Congratulations on starting a memoir-writing class! Your library is very lucky to have a “literary librarian”! —Decide ahead of time whether you will read others’ writing while at the group, or if writing will be sent to group members via email, Google, or Dropbox ahead of time and critiqued later, at the meeting. I know groups who do it both ways; it is a matter of personal preference. Some people may feel their schedules are too busy to read writing ahead of time. —During the meeting, have each person read his or her piece out loud, then afterwards others can take time to write their comments before going around the group and listening to what everyone has to say. People are often influenced by others’ comments, so having each person write down her thoughts ahead of time is helpful. For example, if everyone (or the majority) is confused by the same passage, the writer will know that she has to clarify. —Make sure everyone has more or less equal time to have her manuscript critiqued. —Vary who goes first so no one feels rushed by always reading last. —Some writing groups have strict rules about the person being critiqued not explaining or justifying, but simply listening to what others have to say. Again, this is personal preference, but I’ve found that some dialog between author and critiquers is productive, as long as you don’t stray too far off track, and the person being critiqued is not simply resisting every suggestion or criticism. —Keep the general tone positive and supportive. It’s fine to say a piece or a section is not working, for instance, but the overall goal should be to encourage the writer, and to help her see her strengths and address her weaknesses. Of course, you already know this, but it helps to share this perspective with the entire group. Literary Librarian, Writing prompts are a fine idea, especially if people are unsure what to write about, or where to begin.